Pioneers in the industry, we offer phalit jyotish mool sidhant v phaladesh, aadhunik vidhi se kundali ki vivechana, analysing horoscope through modern techniques, practical vedic astrology, self learning course in astrology and astro professor from India. We offer Phalit Jyotish Mool Sidhant V Phaladesh to our clients. We offer Aadhunik Vidhi se Kundali Ki Vivechana to our clients. 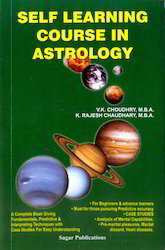 This book has specially been written taking into considerations needs of students to comprehend astrology and be able to give correct predictions in shortest possible time. 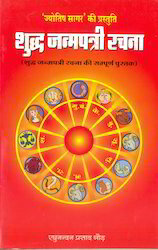 The author has made step by step approach to explain intricacies of astrology. The book contains rules for foreign travel, owning houses and assessment of intelligence and wealth, career counseling and pitfalls in marriages etc.and above all how to assess the personality and character. Every student who has to call out information of several books to get the complete picture is in for a pleasant surprise. 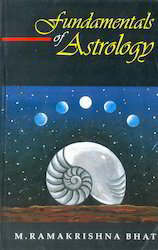 The book is a must for every student and comprehensive in dealing with every aspect of basic astrology. 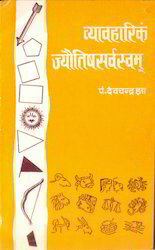 It gives in detail the procedure for casting a horoscope and making the ashtakavarga charts. 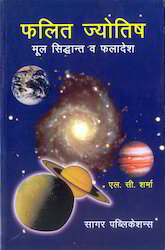 The book also describes in detail the characteristics of every planet, its effect in different signs and houses as well as in combination with other planets. 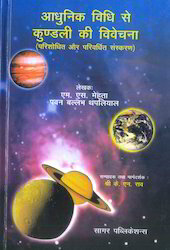 There are also chapters devoted to special subjects like profession, children, foreign travel, medical astrology and a detailed explanation for shodasvargas and reading of D-charts besides the logistics of dasa interpretation. 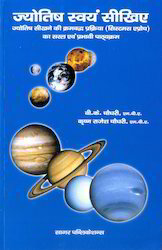 The book also gives ready made charts for easy reference for interpreting the elements of planets, its mooltrikona signs, significance of odd and even signs, the constellations and its ruler besides a bit of gemmology and the corresponding deities for various planets. Complete book for beginners and advance learners, must for those pursuing predictive accuracy, case studies pre-marital pleasures marital discord heart diseases. 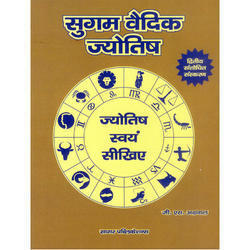 This book contains all basic principles of astrology in simple language which can be understood by any laymen. Contents of the book also includes, signs of Death, what is Birth and Death, cause of Genetic disorders, etc. This is the first book which would interest the masses as it talks about the zodiac signs which is a fairly good indicator of one’s personality and instincts irrespective of strata and position. This book dwells into the details of each sign with respect to relationships and compatibility with other signs, financial and professional implication. 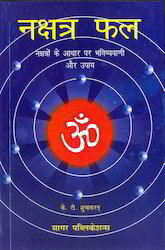 Aspects of favourable colour, direction and other such issues of interest along with simple solutions applicable for each sign have also been covered in this book. 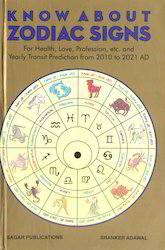 This book also has a unique feature of giving a 12 year trend for each sign and the readers would find it useful in broadly knowing what they can expect in the coming years. It would provide a new dimension to the readers interested in knowing about their zodiac signs. 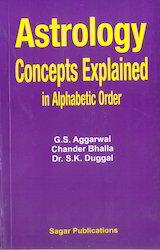 The book is an explanation of astrological concepts to clear any doubt about the exact clarification of astrological terminology. 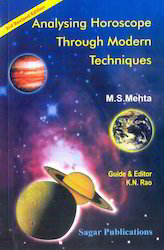 Though it contains the tremendous amount of literature available in Vedic Astrology in various languages yet terms used in Western Astrology have also been explained. 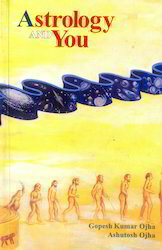 The book enlightens both the elementary and advanced readers of the Divine Science of Astrology. 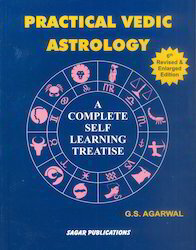 This is a primer for a lay man to pick up a rudimentary knowledge of Indian Astrology. Interest in Indian astrology has shown an astounding upsurge in the recent years. Books on the technical aspect of the subject are available in good number, but for a person who wishes to start from the very beginning, the choice is very limited. There is a feeling of void. 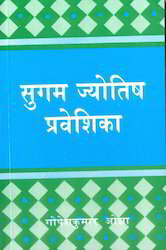 The need of a book that avoids the jargon and that in simple language takes the reader through the fundamentals of the subject was long felt. The author has tried to fill the gap. 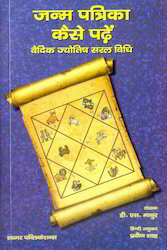 A person, wishing to learn Indian astrology, can now do so by going through this small but very comprehensive book. 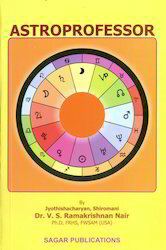 It lays bare the essential principles of Indian astrology necessary to understand the intricacies of a birth chart. We offer Nakshatra Phal Two Vols to our clients. We offer Janam Patrika Kaise Padhen to our clients. We offer Jyotish Ratnakar to our clients. We offer Fundamentals of Astrology to our clients. We offer Sugam Vedik Jyotish to our clients. We offer Shudh Janampatri Rachna to our clients. We offer Jyotish Swyam Sikhiye to our clients. We offer Jyoti Rnibadhadarsh to our clients. We offer Vyaivharik Jyotish Sarvasvam to our clients. We offer Astrology and You to our clients. We offer Sugam Jyotish Praveshika to our clients.